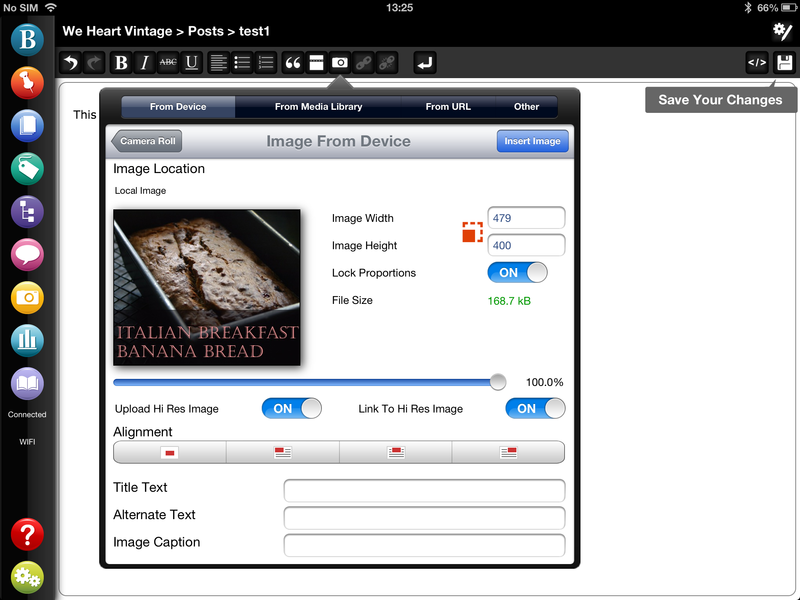 BlogPad Pro version 1.2 is now available to download from the App Store, so go and update your copy now! Version 1.2 packed with exciting new features as well as bug fixes and all you need to do to update your copy is to go to our page in the App Store and select ‘update’. It should also appear in your ‘update’ list in the App Store app. It’s really simple to find which version of WordPress.org you’re using for your blog when you’re blogging using BlogPad Pro for iPad. You can also find your WordPress version by looking in your blog file system. There is a file in your blog directory wp-includes/version.php. If you open this in a text editor you can see the version number. This is only for WordPress.org (self-hosted) blogs, if you are using WordPress.com you don’t need to worry about which version as this changes automatically.